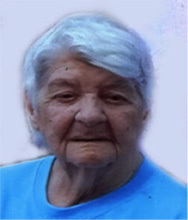 Tramontano, Helen A., 87, passed peacefully Sunday at home. Born in Warren, a daughter of the late Walter and Dorothy (Chappell) Cimino, she was the wife of the late Vincenzo “Jimmy” Tramontano, Jr.
She leaves 3 sons; Vincent Tramontano of Cranston, Walter (Sandra) Tramontano of South Easton, MA, Paul (Kim) Tramontano of Fall River, 6 daughters; Audrey J. Tramontano, Kathy Phillips, Suzanne (Mike) Vaicaitis, and Dorothy Tramontano all of Warwick, and Jacqueline Tramontano of North Providence, 10 grandchildren and 4 great grandchildren. She was mother of the late Stephanie Perez. Private funeral service Thursday at 10:00am in the Stapleton Family Funeral Home, 684 Park Avenue, Cranston. Visit cranstonfuneral.com for directions.